Illinois born Wantling joined the US Marines at seventeen years of age and served in the Korea War during 1953. He claimed to have been injured after the jeep he was being transported in ran over a landmine. He received severe burns and was treated with morphine. He was honourably discharged in 1955, having attained the rank of sergeant (aged 20 years). The years immediately following his time in the Marines were spent in California, where he met his first wife, Luana. They soon became addicted to heroin and, to support their growing habit, resorted to petty crime, assaults and robbery. By 1958, Wantling was found guilty of forgery and possession of narcotics and incarcerated at San Quentin Prison for 5½ years. 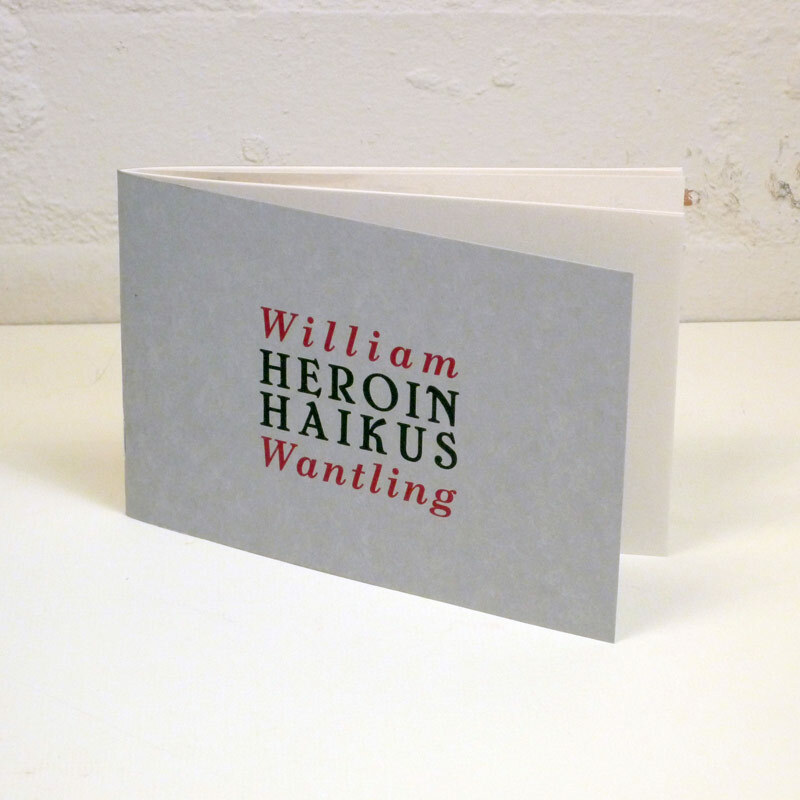 It was in prison that he began writing and his experiences there form the basis of Heroin Haikus. Wantling died of heart failure on May 2nd 1974, aged 40 years. With reproductions of the original drawings by Ben Tibbs, including his iconic front cover design. 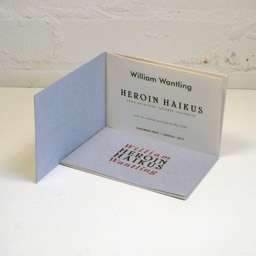 Heroin Haikus was first published as a very small format pouch-book with Spero magazine in 1966, then briefly available as part of Tangerine Press's Sick Fly Series in 2014. 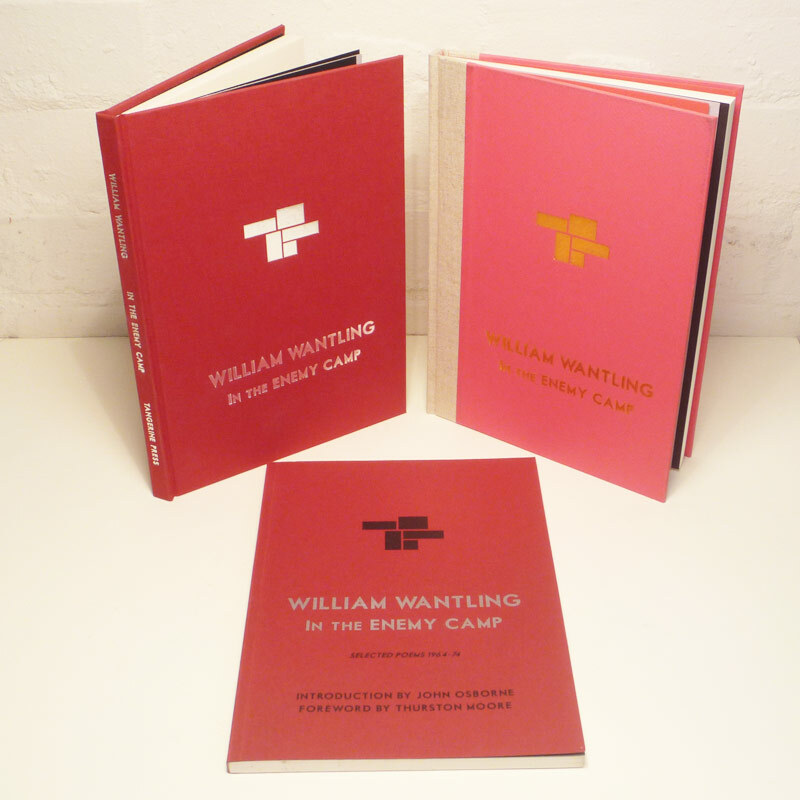 At last, Wantling's miniature masterpiece is available to a wider audience. Ten poem sequence on getting high, getting busted, cold turkey and jail. Still powerful, still relevant! 16 pages. 6"/150mm wide x 12"/300mm tall. Handsewn at the Sick Tangerine workshop. 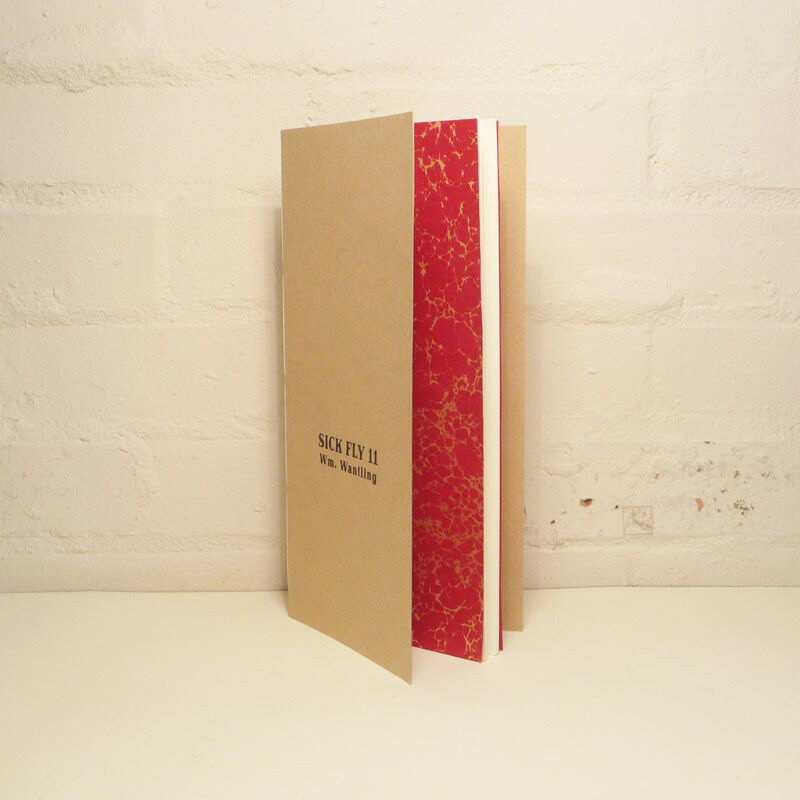 Recycled Cairn almond stiff card covers; front cover artwork embossed in black. 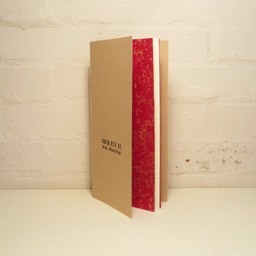 Heritage book white text paper; hand marbled gold vein on cherry red endpapers by Jemma Lewis. 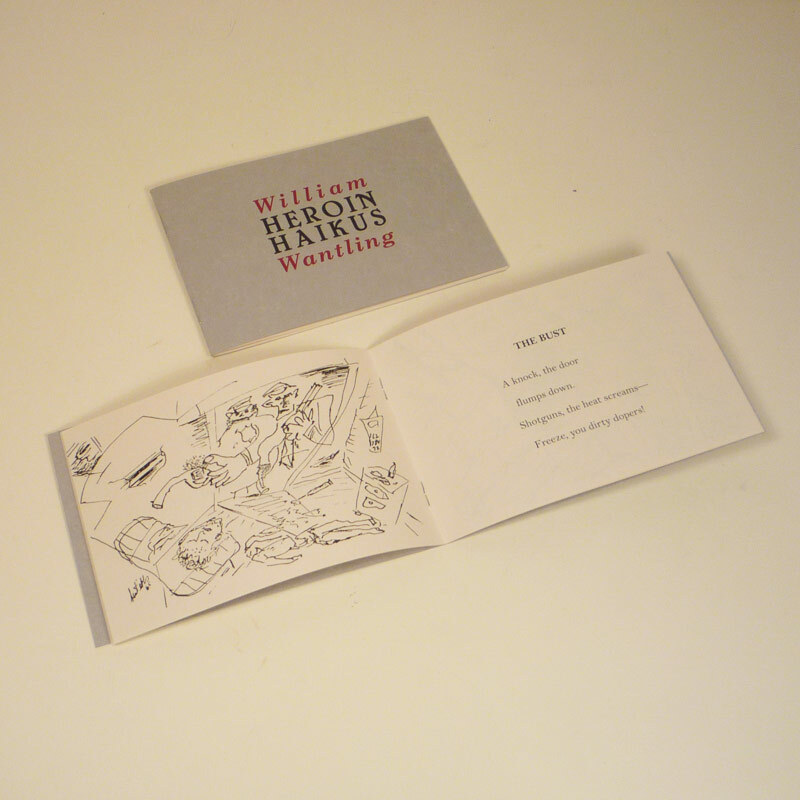 "[Heroin Haikus] is evocative and moving, and well illustrated by Ben Tibbs." 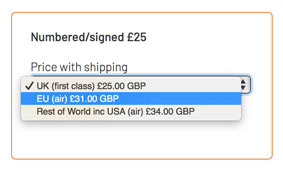 "As the form requires, the author conveys much in just a few sparse phrases. There is the desire of the addict, the disdain of the law enforcers, and regret. This regret is a yearning — for what has been lost, and for the next fix. Whatever one’s views on drugs may be, this is a powerful window into the mind of an habitual user. It makes for thought-provoking reading." "Ten succinct pauses, seventeen syllables, maybe a word game to relieve the boredom and diminish the pain of being trapped, coping with life inside. These haikus of broken rules say so much." "These ten Heroin Haikus, offer proof that Wantling is a poet whose work, brilliant in its ability to encapsulate deep emotion and experience in just a few lines, deserves a fresh look." Illinois born Wantling joined the US Marines at seventeen years of age and served in the Korea War during 1953. He claimed to have been injured after the jeep he was being transported in ran over a landmine. He received severe burns and was treated with morphine. He was honourably discharged in 1955, having attained the rank of sargeant (aged 20 years). The years immediately following his time in the Marines were spent in California, where he met the woman who was to become his first wife, Luana. They soon became addicted to heroin and, to support their growing habit, resorted to petty crime, assaults and robbery. By 1958, Wantling was found guilty of forgery and possession of narcotics and incarcerated at San Quentin Prison for 5½ years. Whilst there, his wife (with their son in tow) divorced him. 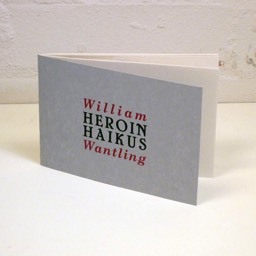 It was in prison that he began writing and his experiences there form the basis of Heroin Haikus. Following his release in 1963, Wantling returned to Illinois, remarried and, under the G.I. Bill, enrolled at Illinois State University, where he went on to obtain a B.A. and an M.A. in English. On completing his studies, the faculty asked him to stay on as a lecturer. 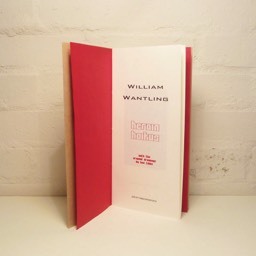 However, Wantling still had serious mental health and addiction problems, which no doubt led to his dying of heart failure on May 2nd 1974, aged 40 years.